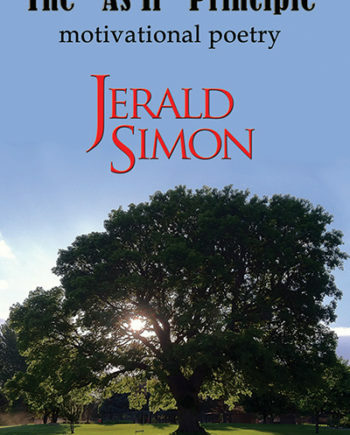 View cart “The As If Principle by Jerald Simon” has been added to your cart. Who are you? Do you know? What are your strengths? What are your weaknesses? How well do you really know yourself? What are your limitations? Do you have any? Do you feel you have too many? 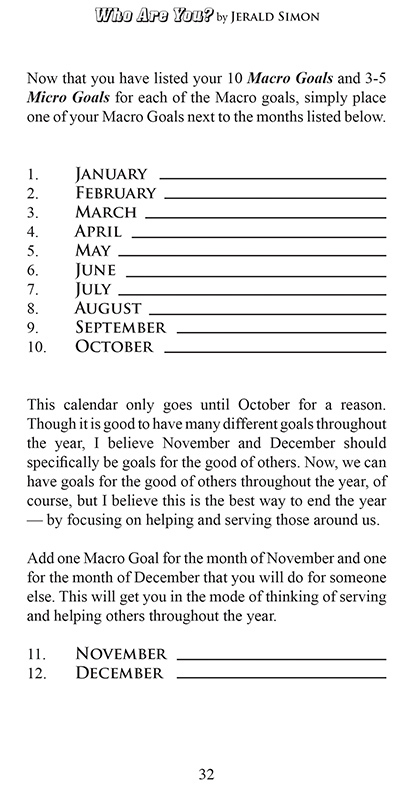 What are your goals, dreams, hopes, fears, and personal outlook on life? Have you ever taken the opportunity to sit down with yourself and have a “heart to heart” conversation about your true potential? What do you think you can accomplish in your life? What would you like to do, be, and become? What languages would you like to speak? What instruments would you like to be able to play? What sports would you like to participate in? What travels would you like to take? Who would you like to meet? What would you like to learn? Where are you currently, at this minute, with your goals, dreams, ambitions, talents, knowledge, and individual areas of expertise? What is your “dream destination?” How are you going to get there and what will it take for you to do everything you want to do and be everything you need to be? 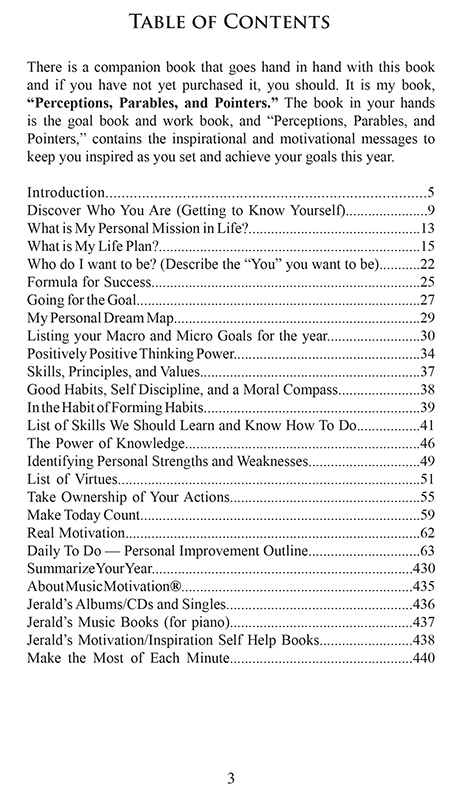 This book is your personal success goal book for the year to help you discover who you are and who you can become. WHO ARE YOU? 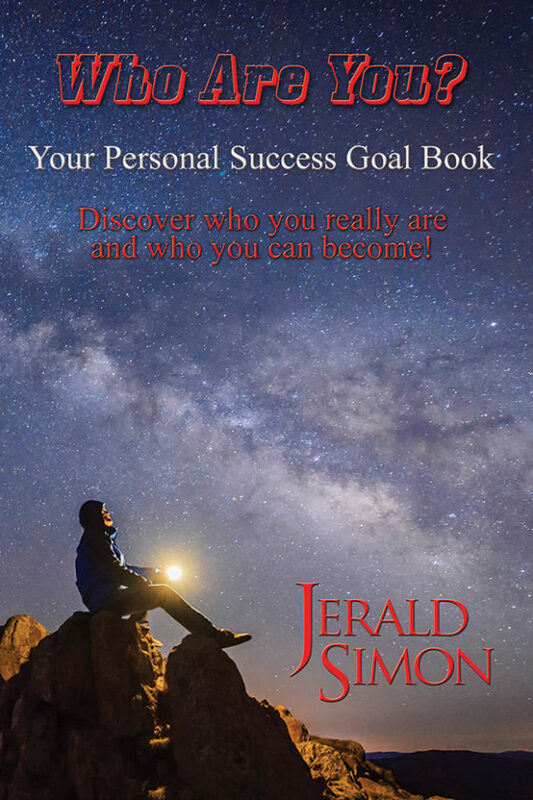 (Your Personal Success Goal Book) by Jerald Simon – Discover who you really are and who you can become. WHO ARE YOU? Get to know yourself, your strengths, weaknesses, goals, dreams, hopes, fears, and potential! 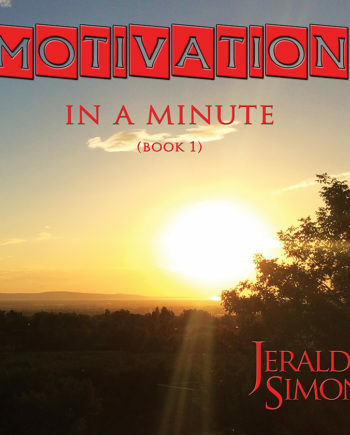 This book was written to help teens and young adults get to know themselves, learn who they are and who they would like to be. 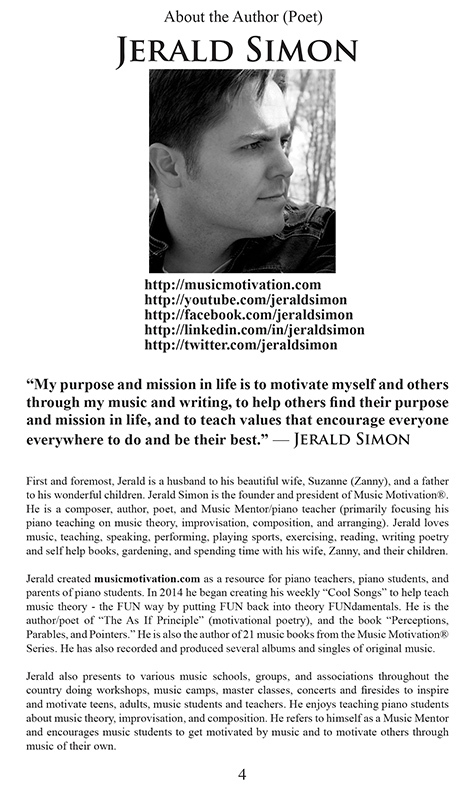 This is a manual, a road map, an exploratory adventure designed to help youth and young adults map out their future. 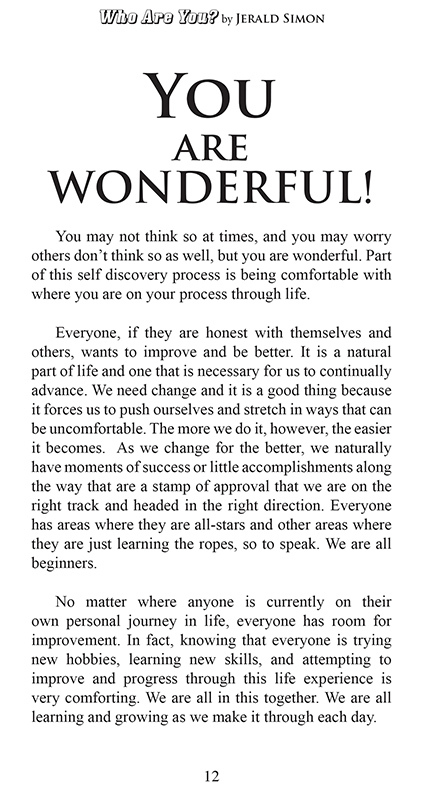 It was written to help guide them on their journey of self discovery, self worth, and self accomplishment. Discover who you were born to be! 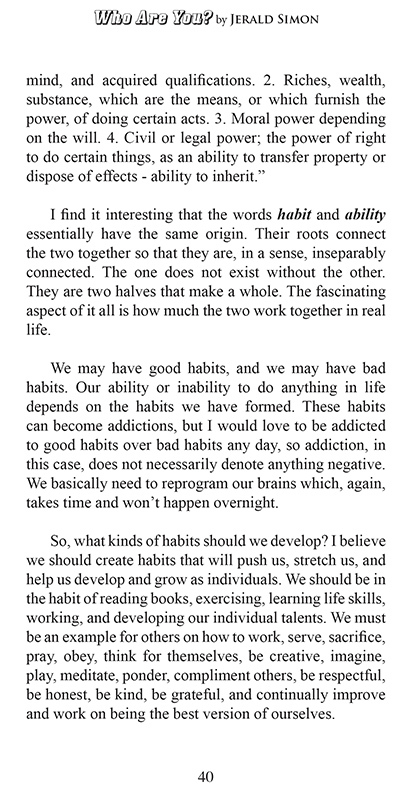 This is a book to open you up to yourself, to get to know yourself better and more intimately than you ever have before. This book is all about you. It’s your story. You are the author. You are the creator of your own adventure through life. This is about discovering you – who you were, who you are, and who you can and will become. 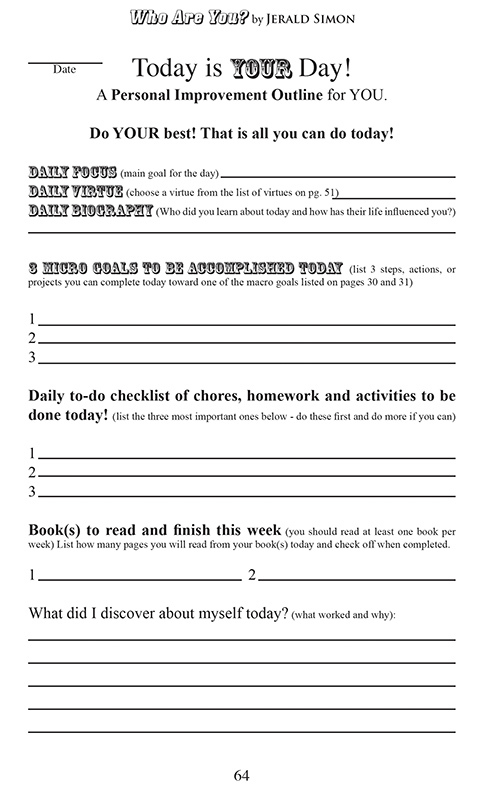 Throughout the next year, this book, if you follow through with the outlined objectives, tasks, and activities, will become your personal progress report of what you will accomplish and become starting today. 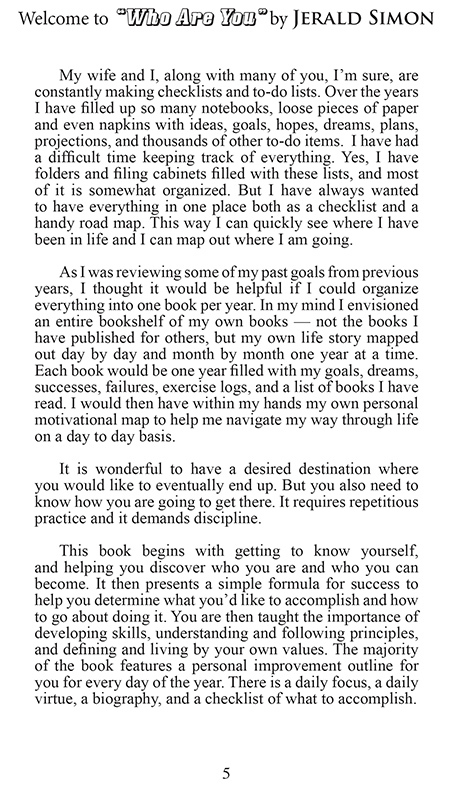 At the end of the year, you can then look back through this book and see where your journey has taken you. 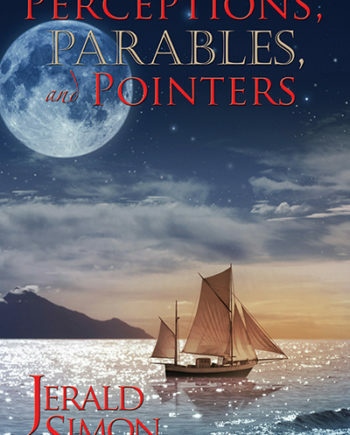 This book will be your heirloom and something you can pass on to your posterity. 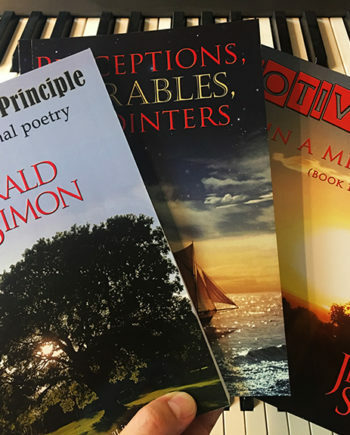 Each year you can start this process over with a new book filled with the blank pages of possibility that will lead you to better understand yourself. This is your book, your life, and your destiny.